Nazareth broke ground on June 14, 2018 on the new $23.5M 91,000-square-foot center that will bring together the strengths of Nazareth College, Special Olympics, and the Golisano Foundation to create a new model of inclusion, fitness, and wellness for athletes with intellectual disabilities. It will open in Fall 2019. Tom Golisano made a gift of $7.5 million toward the new center. In October 2017, Tom Golisano announced his donation of $5 million towward this new center, which will open in 2019, will provide the greater Rochester community a new, critically-needed home base for child and adolescent behavioral health services. The new building will be the primary outpatient location for the children’s hospital’s Pediatric Behavioral Health & Wellness program, which treats children with depression, anxiety, psychosis, substance abuse, PTSD, and other behavioral and emotional conditions, and will be staffed by a multidisciplinary team that includes child psychiatrists, psychologists, social workers, mental health counselors, nurses, and more. Al Sigl Community of Agencies, AutismUp and CP Rochester are collaborating to build the new Golisano Autism Center Rochester, which will expand and enhance autism services to serve the more than 10,000 people diagnosed with autism in the Greater Rochester and surrounding areas. The new Center will be named for philanthropist and Paychex and Golisano Foundation Chairman, Tom Golisano announced on May 16, 2017 that he is making a matching challenge grant of $2.5 million to help build the Center. The Golisano Foundation also contributed $500,000. The establishment of the Golisano Autism Center Rochester will transform the delivery of autism services by colocating and coordinating resources offered by multiple autism providers, each of which, has specialized areas of expertise. Special Olympics transforms lives through the joy of sport, every day, everywhere. It is the world’s largest sports organization for people with intellectual disabilities: with more than 5 million athletes in 172 countries -- and millions more volunteers and supporters. It is also a global social movement and the largest global public health organization dedicated to serving people with intellectual disabilities, a population that lacks access to adequate healthcare and faces significant health disparities. Tom Golisano's support for Special Olympics inclusive health work began with a gift of $150,000 to Special Olympics International in September 2010 to expand training and increase the number of health care professionals capable of providing healthcare services to people intellectual disabilities. Then on September 23, at the opening of the 2012 Clinton Global Initiative (CGI) Annual Meeting, former President William J. Clinton announced that Tom Golisano would provide $12 million to expand Special Olympics’ health-related services to people with intellectual disabilities to enable the launch of the new Healthy Communities initiative. On July 15, 2015 at the Special Olympics World Games, Golisano Foundation Director Ann Costello, announced that due to the success of Healthy Communities in its first three years, Tom Golisano would commit an additional $25 million to expand Special Olympics’ health services globally for people with intellectual disabilities. This was the largest single gift Special Olympics has received in its 47-year history. 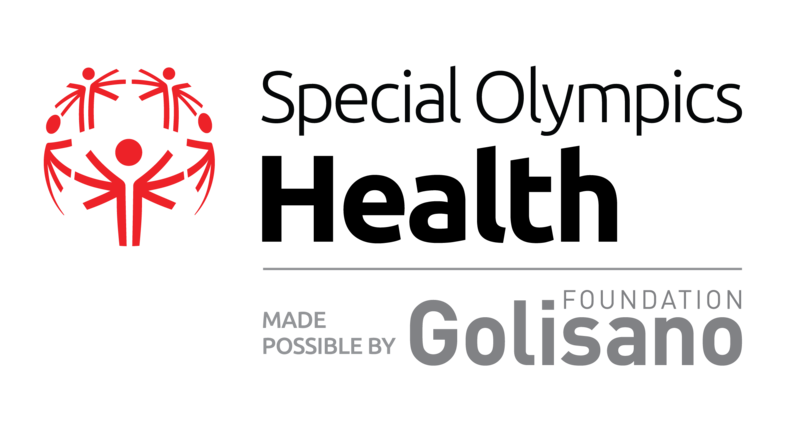 This gift and $12 million given in 2012 brings Mr. Golisano’s total giving to Special Olympics to more than $37 million, the most he has given to a single organization and the largest gifts from an individual ever received by Special Olympics. See more infromation on our work to promote inclusive health around the world with Special Olympics Global Health initiative. On September 17, 2014, Niagara Falls Memorial Medical Center received a $3.5 million gift, the largest in its history, from businessman and philanthropist Tom Golisano to support construction of an innovative new Golisano Center for Community Health. The Center will provide comprehensive integrated health care services to adults with special needs and their families, breaking down barriers to care, preventing individuals from falling through the cracks and helping them live with dignity. It is one of the few centers of its kind in the country. The new Center was dedicated June 9, 2016. Golisano Children's Hospital of Southwest Florida is a state-of-the-art, family-centered, full-service children's hospital. This stand-alone facility located on the HealthPark Medical Center campus is dedicated to the unique health care needs of children. More than 70 pediatric specialists who have advanced training to treat children and adolescents and their families. The region’s only state-designated Regional Perinatal Intensive Care Center (Level II and III Neonatal intensive Care Unit) has achieved the No. 1 ranking in the state of Florida based on the outcomes of premature infants. On December 10, 2013 Lee Memorial Health System Foundation celebrated a community commitment of more than $80 million in donations and pledges toward its $100 million Golisano Children’s Hospital of Southwest Florida capital campaign goal with a Ceremonial Groundbreaking, the new hospital is being built in Ft. Meyers. Tom Golisano donated $20 million to launch the campaign. On October 30, 2012 Tom Golisano was revealed as the donor of a $20 million matching gift to build a new children’s hospital, which will be named Golisano Children’s Hospital of Southwest Florida. Part of the Lee Memorial Health System in Fort Myers, Golisano Children's Hospital of Southwest Florida is the only comprehensive children's hospital between St. Petersburg and Miami. With more than 200 pediatric specialists it provides a spectrum of care that spans more than 40 specialty areas, serving the more than 85,000 children and their families each year. With 124 beds, Golisano Children’s Hospital is the area’s only children’s hospital, and serves as the referral center for all seriously ill or injured children from the 17-county Finger Lakes region. Over the past decade, Golisano Children’s Hospital has been ranked as a Top 50 children’s hospital by US News & World Report in 6 out of 10 categories (endocrinology/diabetes, gastroenterology, neonatology, nephrology, neurology/neurosurgery, and orthopaedics). 21,300 pediatric surgeries per year covering numerous subspecialties, including the only WNY center offering pediatric cardiac surgery. 27,000 pediatric emergency room visits per year. Approximately 1 in 12 babies born in the region start their lives in our NICU, which is the only Level IV NICU in the region. The largest pediatric ICU in western and central NY, which averages 825 admissions per year. The first children’s hospital in the country with an integrated PET/MRI, designed to look like a pirate ship to put our patients at ease. 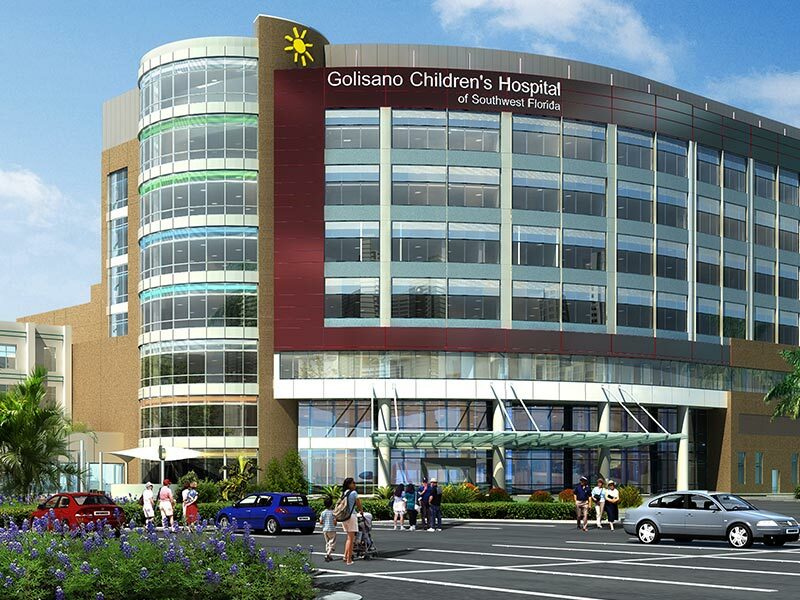 April 2002 - Mr. Golisano contributed $14 million to Strong Children's Hospital in Rochester, NY, enabling the hospital to begin a comprehensive fundraising campaign. In honor of the gift, the hospital, which is part of the University of Rochester Medical Center, is now known as Golisano Children's Hospital. Mr. Golisano's gift was the largest ever given to the Children's Hospital or the University of Rochester Medical Center by a living donor. July 2011 - Mr. Golisano provided a $20 million gift to expand and modernize the existing Golisano Children's Hospital enabling the University of Rochester Medical Center to construct a new next-generation hospital for children. This gift along with a previous gift of $14 million in 2002 totals $34 million to the Children's Hospital in Rochester. September 10, 2012 - Groundbreaking for new Golisano Children’s Hospital. The Medical Center announces plans to build a new $145 million children’s hospital dedicated to the care of sick and injured youngsters. May 27, 2015 - The new Golisano Children's Hospital was dedicated. Mr. Golisano was honored at the event and spoke. 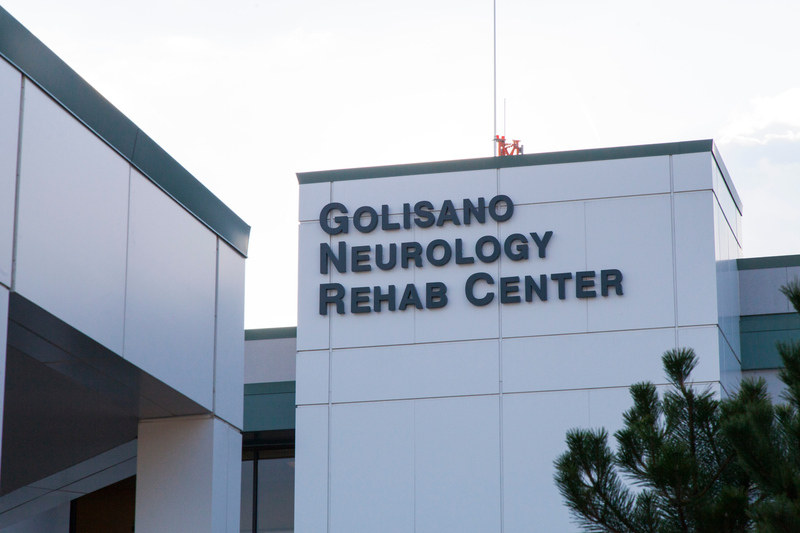 The Golisano Restorative Neurology & Rehabilitation Center is a nationally recognized brain injury rehabilitation program. The exceptional, compassionate treatment helps patients and families rebuild their lives. In April 2010, Mr. Golisano supported the creation of a new Center for Restorative Neurology and Rehabilitation at Unity Health System in Rochester, NY, with a gift of $10 million. The Center will serve adults and children in need of both inpatient and outpatient care for conditions that range from brain and spinal cord injuries to joint replacements to diseases such as multiple sclerosis and cerebral palsy. In June 2008, Mr. Golisano announced a gift of $4 million to the American Cancer Society and Colgate Rochester Crozier Divinity School to establish the new Golisano Hope Lodge and Hospitality House to accommodate cancer and transplant patients and their families from area and regional hospitals. The American Cancer Society Golisano Hope Lodge Hospitality House offers free or low-cost lodging for cancer, trauma and organ transplant patients and their caregiver, in a supportive environment. In November 2005, Mr. Golisano donated $6 million to Central New York Children's Hospital at University Hospital in Syracuse, NY. In honor of the gift, the hospital was renamed the Golisano Children's Hospital of Central New York at University Hospital. Upstate Golisano Children’s Hospital opened in 2009, with the mission to provide safe, effective, innovative and family centered care for children in the Central New York region. Today the hospital serves children and families across 17 counties and treat over 100,000 pediatric encounters per year. It is the Region’s only Level 1 Trauma and Burn center, offering a complete range of health care services for children from birth to 19 years of age. The dedicated pediatric providers and staff care for patients in an inpatient setting that consists of General Pediatrics, Pediatric Surgery Unit, Hematology/ Oncology, and the only Pediatric Intensive Care Unit in our large referral area and the only dedicated pediatric Emergency Department between Rochester and Vermont. Golisano Children’s Hospital offers full spectrum of ambulatory services including primary care and several nationally recognized specialty medical care programs. 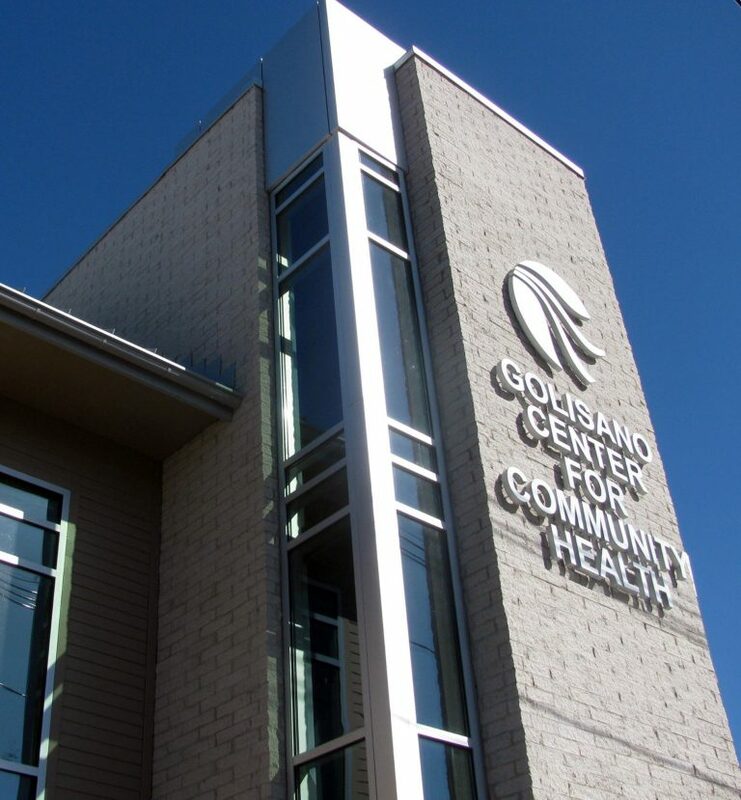 In 2005, Mr. Golisano continued his commitment to health care with a $9 million gift to Rochester General Hospital, helping to establish the B. Thomas Golisano Pavilion and Emergency Center, which opened in October 2009. The Emergency Department was built from the ground up to take full advantage of the latest innovations in emergency and cardiothoracic medicine, this 88,000+ square-foot facility nearly doubles the space devoted to these areas. While significantly larger, this impressive space is also designed to bring patients, medical personnel, and vital resources closer together - proximity that will both enhance and streamline patient care and safety. 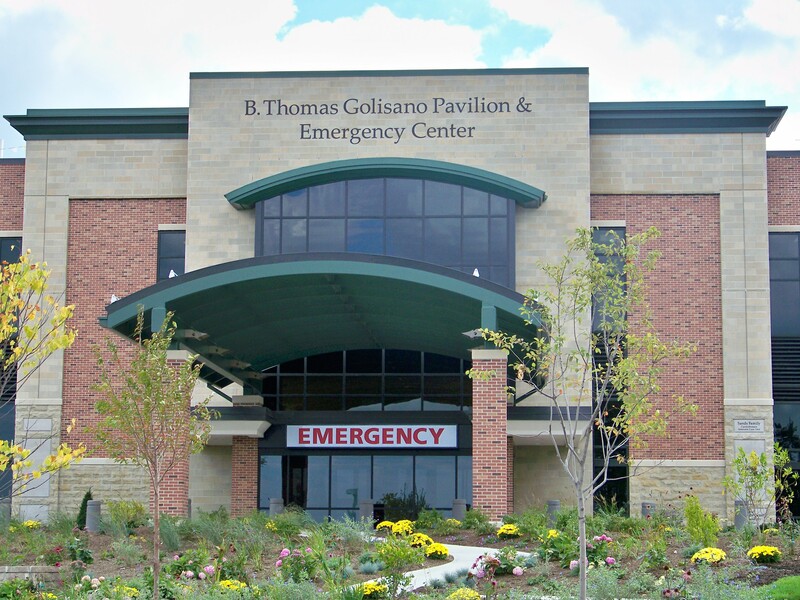 In November 2002, Mr. Golisano donated $5 million to Thompson Health in Canandaigua, NY. The gift will be used to create the Golisano Center for Emergency and Diagnostic Medicine. Mr. Golisano donated $1.5 million to Mercy Flight Central of Canandaigua, NY, helping to kick off the drive to purchase a new Mercy Flight helicopter. Now Mercy Flight Western New York, the independent, not-for-profit provider of emergency and non-emergency air and ground medical transport and supporting services; ensures rapid, safe and cost effective delivery of expert response teams. Established in 1981, it has safely completed more than 26,000 patient missions over 36 years and provides around the clock care servicing all of Western New York, Northwestern Pennsylvania, Canada and beyond.